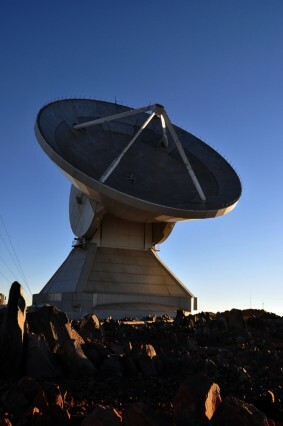 A US-Mexican team of astronomers installed a hydrogen maser frequency standard at the LMT to enable Very Long Baseline Interferometry (VLBI) experiments. A US-Mexican team of astronomers installed a hydrogen maser frequency standard at the LMT. The new maser will enable a range of Very Long Baseline Interferometry (VLBI) experiments, which include determining the distance to the Galactic Center by measuring the parallax of SgrA* (the 4 million solar mass black hole at the heart of the Milky Way) with 3mm wavelength VLBI. At 1.3mm wavelength, the LMT will join other telescopes worldwide in the Event Horizon Telescope array to image the event horizons of SgrA* and the supermassive black hole at the center of the nearby elliptical galaxy M87. The international team included scientists and students from INAOE, the University of Massachusetts (Amherst), NRAO, the Centro de Radioastronomía y Astrofísica (CRyA) of the Universidad Nacional Autónoma de México (UNAM), MIT Haystack Observatory, and the Smithsonian Astrophysical Observatory (SAO). The complete note can be found here.